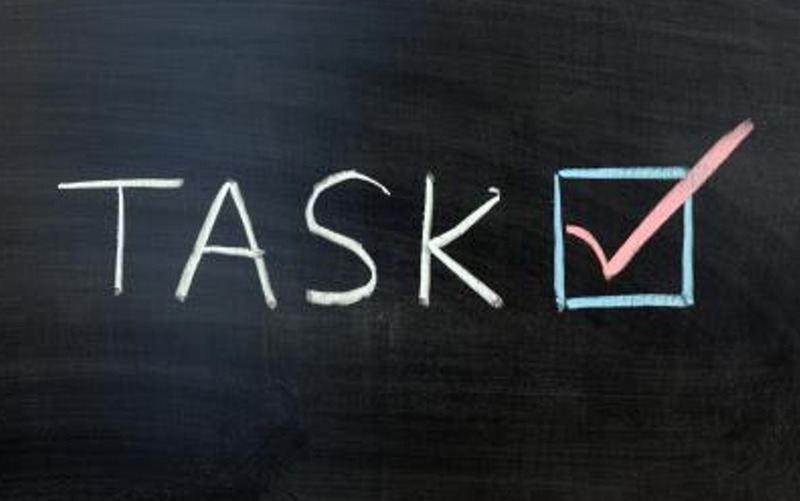 Are You Getting The Right Things Done? Are you getting things done? More importantly, are you getting the right things done? I use Omnifocus to keep track of every project, and every task that I need to complete. Right now, my task count stands at 228. But once I send this newsletter, it will be 227. I recently added a new perspective to Omnifocus. The new perspective shows me what tasks I completed today. It gives me a view of what I got done. It’s a way for me to look at how I spent my time, whether or not the tasks I completed are aligned with my goals, and whether I moved the needle. Some days it’s easier to get the right things done. Other days, life intervenes and makes it more difficult to make real progress on what’s most important. Reviewing your progress every day allows you to maintain your focus on your biggest priorities. It allows you to make adjustments to what you are doing. Most of all, it shows you how little you are getting done and how few results you are producing—when these things are true. There is a value to keeping your score, especially when the work you do is knowledge work. If you need to schedule appointments with your dream clients, then counting the number of appointments you booked will let you see how much you did—or didn’t get done. If you need to develop the members of your team, keeping score on the time spent serving them will give you a way to gauge whether what you are doing is in line with your priorities. Are you keeping your own score? Are you honest with yourself about what you are getting done—and what you aren’t getting done? Comment below to send me your stories, thoughts, and ideas. I read and respond to every email, even if it takes me a little time! The rest of this newsletter is full of resources that will help you improve your results. Join me on October 21st at 1:00 PM ET. As has been the case on the last three webinars I’ve participated with, I am going to be joined by Mike Weinberg, Miles Austin, John Spence, Mark Hunter, and Jeb Blount. This webinar, Close Sales Faster, sponsored by the TAS Group, will get you psyched up and ready to join the 6 of us . . .
On November 13th, 2015 in Washington, DC for the Customer Acquisition Symposium, sponsored by The Institute for Sales Excellence. This symposium is a one-day event where each of the six of us going to do a “Ted” style talk followed by a workshop. You and your team will leave with a workbook and all of the ideas you need to make 2016 your best sales year ever. When you sign up, email me so I can make sure we keep you informed about a meet up we’ll be hosting. Speaking of Mike Weinberg, have you picked up his new book, Sales Management Simplified? As always, Mike takes no prisoners. He’ll show you the mistakes being made and help you turn around your sales team—or your whole sales organization. While you are out on com, pre-order Jeb Blount’s new book, Fanatical Prospecting. Jeb and I are in Atlanta speaking together today and tomorrow, and we had a chance to spend a couple hours talking last night. We both believe that the biggest challenges most sales organizations face is a lack of effective prospecting. This book will cure what ails you. My good friend, Bob Burg, is releasing the book he wrote with John David Mann, The Go-Giver. This book has sold over 250,000 copies. If you haven’t read it, you simply must! It will change how you view yourself and what you do. The new version has all kinds of additional resources, like questions and answers, as well as a dialogue guide for working with your team.